The popular comedian was put under the spotlight by host Arbaaz Khan and he made some interesting revelations. Arbaaz Khan has recently launched his chat show Pinch on ZEE5, and it has already seen the who’s who of the industry including Kareena Kapoor Khan and Sonakshi Sinha. The chat show addresses the trolls that celebrities are subjected to on social media. 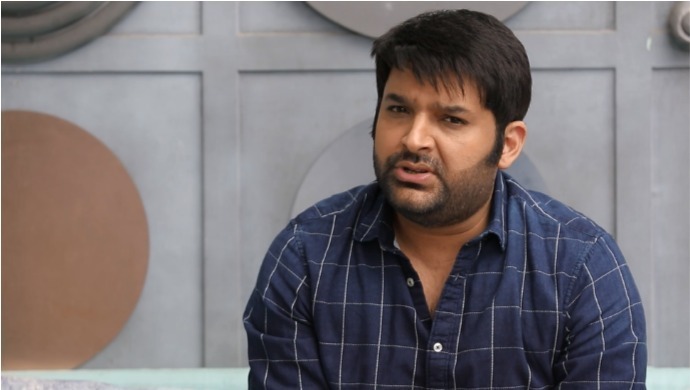 While Bebo and Sona have given their take on the rising phenomenon, popular comedian Kapil Sharma was the latest celebrity to join the list and talk about the same. After a successful stint with his own chat show, the comedian went underground and reports surfaced that he was suffering from depression. But Kapil is back with a bang and looks much happier and calmer. Watch the promo of the latest episode here. The comedian recently got married to Ginni Chatrath in December last year, and is now seen with another season of his popular entertainment reality show. Kapil went through his share of lows and was embroiled in several controversies. In a conversation with host Arbaaz, the comedian addressed them one by one. Kapil Sharma and his fellow comedian Sunil Grover were like two peas in a pod. The two were seen together on Kapil’s show and things went downhill when Sunil quit the show. Although they did reconcile for a bit when the latter made a comeback on Kapil’s show, there was a permanent crack in their friendship when reportedly, Kapil assaulted and abused Sunil. The incident took place on a plane, where Kapil got drunk and got into a fight with a member from his team. He reportedly acted violent with Sunil when the latter tried to stop him (Kapil). The two cleared the air on social media where Kapil tweeted an apology to Sunil and the latter replied saying that he was deeply hurt. When asked to talk about the same, Kapil cleared the air and said that a lot of misunderstandings had been created between them. “A lot of people said that I hit Sunil with a shoe, when something like this never even happened. Neither I or Sunil have confirmed this incident,” said Kapil. The comedian went on to say that he is fond of Sunil and that he wanted him to be a part of the new season of the show as well but the latter wasn’t ready. Kapil left Twitter in a frenzy when in the wee hours of the morning, he tweeted to PM Narendra Modi, stating that he was asked to pay a bribe of Rs. 5 lakh to Brihanmumbai Muncipal Corporation. Addressing the same, Kapil admitted that it was “his mistake” and that he didn’t know how and where to channel his anger correctly. He went on to read out the trolls that he was subjected to for this tweet and took them in his stride. The comedian courted another controversy when a conversation between him and a journalist went viral. This journalist had been writing several stories on the downfall of Kapil, which irked the comedian and he ended up calling the writer and hurling abuses at him. The matter was taken to court and Kapil reveals that he reacted this way as the journalist was crossing a line. “I admit that the language I used was very foul. But there were a lot of journalists writing stuff about me and the reason I ended up fighting with this one is because he wrote around 160 articles on me in a span of six months. He wrote things like I used to come late on the sets, which wasn’t the case. There was a lot of untrue stuff getting written about me so eventually it was the pent up anger that came out,” says Kapil. What do you have to say about Kapil’s revelations? Tell us in the comments section below! If You Love Kapil Sharma, Watch His Adorable Music Video Oye Firangi, Exclusively On ZEE5! Did You Know G. Ashok Waited For Anushka Shetty's Dates For Bhaagamathie For 5 Years?